My wife and I recently visited Seattle’s wonderful Museum of History of Industry (MOHAI), which houses a stunningly cool model of the Seattle landscape. 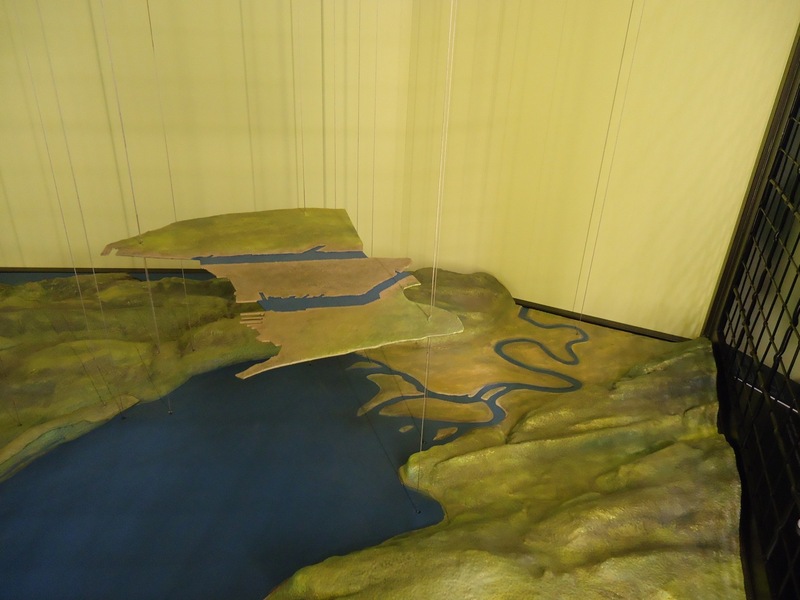 The model, on the second floor, illustrates how the topography of Seattle has been shaped over time. It is the most clear illustration of the incredible changes that have taken place in the city over the past 150. The shots that I include focus on the south end of downtown. 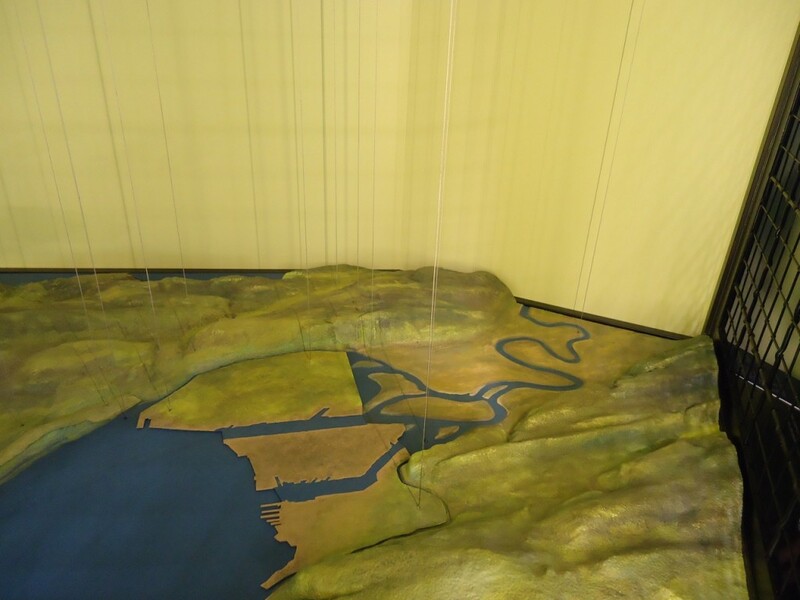 Photo one shows Elliott Bay and the tidal flats of the Duwamish River around 1851, the year the first large party of settlers arrived in Seattle. The key is to note where the Duwamish River enters the bay and the several islands at its mouth. 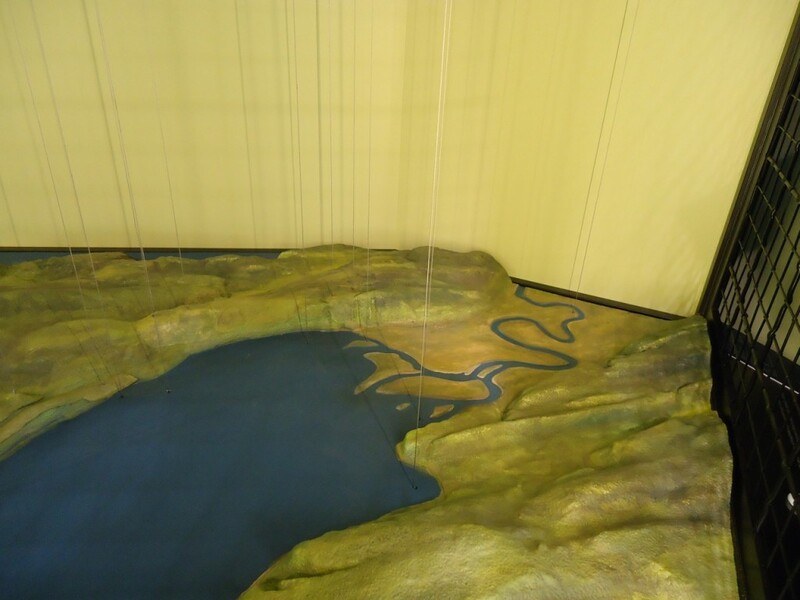 What is not shown clearly is the vast tidal flats, half the day under water and half the day an expanse of aromatic mud, that covered around 1500 acres. Beginning almost immediately, Seattleites began to dump material, such as sawdust and trash, onto the flats. In 1895, wholesale filling of the flats began when ex-governor Eugene Semple organized the Seattle and Lake Washington Waterway Company. Over the next 20 years almost 90 percent of the flats were filled, primarily with silt and sand dredged from the flats, but also with fill washed off of Beacon Hill and from the Jackson Street and Dearborn Street regrades. Photo two shows the new landscape dropping in.